March 27, 2015 Mulling over a sensitive topic. I’ve wasted two days bouncing a topic around in my head, but never committing it to physical reality, but here goes nothing. For the last couple of days, I’ve had a blog topic rattling around inside my head, but I just wasn’t ready to put the words on the screen, but the time for false delicacy has passed. The truth is, Robin Williams has been on my mind quite a bit. It’s true that I pretty much love everything he’s ever done, since Mork and Mindy and a stand up routine he did for HBO. But the reason he’s taken up residence inside my head really has little to do with his career, and more to do with how and why he chose to leave the stage. Like both of my parents, Mr. Williams chose the time and day when he would take his last bow and exit, very quietly, stage right. No amount of intervention or suicide prevention hotlines could have, in my opinion, made a difference for Robin, my mom or my dad. Before you decide that I’m being fatalistic and harsh, hear me out. When I first began writing about my parents’ suicides and the impact it had on me, I did a bit of research into the statistics. What I found at the time was that there were significantly more successful adult suicides than teen suicides. 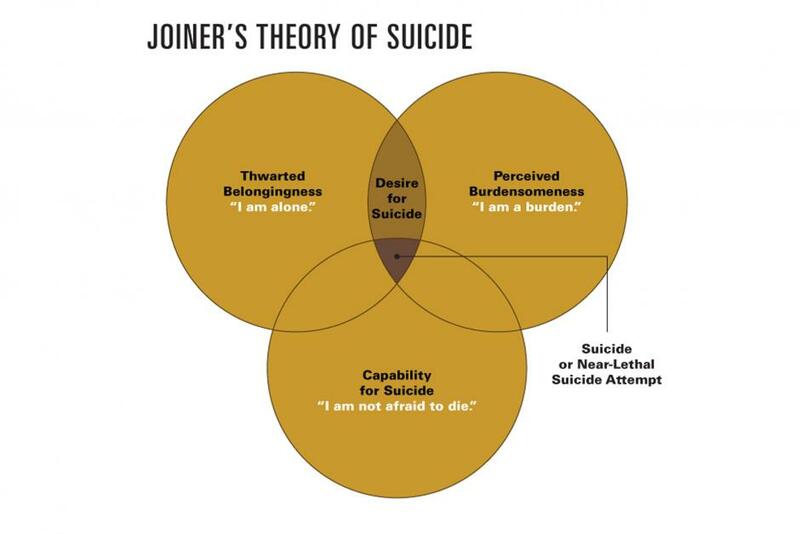 One of the explanations given at the time was that when an adult decides to end their life, they are more certain that it is the right decision, and as such, use methods which are not only more likely to be successful, but wait until there won’t be anyone around to stop them, or interrupt the process of dying before it is complete. The next part will be a little graphic, so if you’re sensitive, you might want to stop reading now. Cases in point: My mom waited until my dad had left for work before taking a handful of pills and securing a plastic bag round her head. My father wasn’t expected to be anywhere the day he smoked one last cigarette before sticking a pistol in his mouth. And Robin Williams waited until his wife was gone before putting that belt around his neck. What I’m saying is that all three of them, and tens of thousands like them every year were simply ready to go and didn’t want to take the chance that someone who loved them would do their best to convince them that they really needed to stay around for a few more years. The truth is, they, like so many others, knew exactly what they were doing, why they were doing it and that the work they’d come here to do was complete, or as close to it as they could get. I am so grateful that my parents were simple people who never sought the spotlight. As I see posts and news reports about Robin Williams’ family, my heart goes out to them, but I wouldn’t want to be in their shoes. My grieving may have been very lonely and took a lot longer than it might have, but I’ve been given the space and time to work my way through it without having it thrown in my face repeatedly. Certainly, people mean well, but I’m not sure how I would have handled the constant public reminders while I was sorting through the morass of emotions through which I waded both when mom died and again, ten years later when dad made his own decision. And this assumes we can even rely on the official data. Many researchers believe it’s a dramatic undercount, a function of fewer autopsies and more deaths by poison and pills, where intention is hard to detect. Ian Rockett of West Virginia University thinks the true rate is at least 30 percent higher, which would make suicide three times more common than murder. Last fall the World Health Organization estimated that “global rates” of suicide are up 60 percent since World War II. And none of this includes the pestilence of suicidal behavior, the thoughts and plans that slowly eat away at people, the corrosive social cost of 25 attempts for every one official death. In America in the last decade, the suicide rate has declined among teens and people in their early 20s, and it’s also down or stable for the elderly. Almost the entire rise—as both the new CDC and GBD numbers show—is driven by changes in a single band of people, a demographic once living a happy life atop the human ziggurat: men and women 45 to 64, essentially baby boomers and their international peers in the developed world. It’s not painless or easy, like pulling the fire alarm to get out of math class. It takes “a kind of courage,” says Joiner, “a fearless endurance” that’s not laudable, but certainly not weak or impulsive. On the contrary, he says, suicide takes a slow habituation to pain, a numbness to violence. He points to that heightened suicide risk shared by athletes, doctors, prostitutes, and bulimics, among others—anybody with a history of tamping down the body’s instinct to scream, which goes a long way to unlocking the riddle of military suicides. One thing I’ve never believed of either of my parents was that they were cowards. Indeed, I have always believed that despite the result, they showed an incredible courage in not only choosing to leave those they loved behind, but to ensure that there would be no going back, no lingering, and no distraught family members hovering at their bedside hoping for a miracle, because there would be no lingering, no hope for recovery. They would be gone and would leave us with the task of grieving and of closing the final chapter on their lives. If you’ve ever watched someone who spends days, weeks, months watching a loved one wither away from cancer, you know that committing suicide is truly an act of compassion and courage. This is not a treatise advocating self-harm in any way, shape or form. It is, instead, my own point of view in both trying to understand the whys, but also to recognize that the pat answer of “depression” is, in and of itself, not the entire picture, nor should the family of someone who chooses to end their life be forever stigmatized and even blamed for not being able to see the future and stay the hand of their parent, child or lover. Their lives never were and never will be in our hands. Even more than usual, I beg your indulgence as I share my gratitudes for this evening. 1. I am grateful that there are those who are working diligently to alter the perception of suicide. 2. I am grateful for the years I’ve had and the writing I’ve done which have given me both perspective and compassion for the decisions my parents made. 3. I am grateful for the challenges with which I’ve been presented to allow me to learn both compassion and kindness and to make me see that crawling into a hole and feeling sorry for myself is not the way to make the world a better place. 4. I am grateful for my friends and those few family members who have been there for me in the years since my mom’s suicide and for all that occurred in the years since, helping me feel untainted and in fact, blessed by the lessons I’ve learned from my experiences. Also for those who willingly shared their own experiences and feelings with me. 5. I am grateful for abundance: understanding, compassion, kindness, caring, love, joy, friendship, inspiration, peace, harmony, health (mental, physical, energetic and emotional) and prosperity. R.I.P. to a man who brought more than his share of laughter to the world! We are poorer for his decision to leave. Ordinarily, I avoid current events for blog topics, mostly because I avoid watching the news and the media’s tendency to make a huge deal out of bad news. But today, nothing is quite normal, and the news of the world’s loss of actor, Robin Williams, hits way too close to home. Losing someone to suicide is a very personal kind of hell. Only when you’ve lost someone to suicide can you truly understand the emotions experienced by a death which you could no more have prevented than if it had been a slow decline from cancer, an auto accident or any other method of passing. Only suicide leaves the family with tons of questions, and mere seeds of answers. And only suicide seems to bring out the worst in people who ask insensitive, sometimes cruel questions of the survivors. Suddenly, all responsibility for the deceased’s life and choices is assumed to belong to their family. When my mother committed suicide over twenty years ago, I was appalled by relatives who had the unmitigated gall to ask my father why he didn’t recognize that Mom had a problem and force her to get help. As if it was his choice to make! It didn’t even occur to them that you can’t force someone to seek help. They have to want to fix themselves first! Would you say that to someone whose spouse died of liver disease due to alcoholism? I really doubt it! I sincerely hope that his status as a public figure for so many wonderful decades doesn’t give people reason to believe that they can flood the internet with their ignorance and insensitivity, but instead, gives them an opportunity to express their gratitude for all of the laughter he brought to us, while hiding his own pain. His family needs time to process their feelings without interference from well-meaning masses. Robin Williams will be missed by many, yet nobody but the family and friends who truly loved the man behind the mask will understand the depth of that loss. Suicide was the 12th largest cause of death in the U.S. in 2010 with over 38,000 successful suicides. This doesn’t even take into account those who failed to achieve their goal…death and release from pain. People around us are living with depression every day, but many disguise it so well, nobody ever guesses. Some, like my mother, are so good at disguising it that their death comes as a complete surprise to everyone concerned. My sister and I used to joke about my mother’s many faces when we were younger. Sadly, it wasn’t a joke. Like Robin Williams who hid behind his humor, my mother seemingly had a face for every situation. It was only when I began writing about both hers and my father’s suicides that I realized how little I knew the woman who gave me life. I find myself wondering if much of the crazy, eccentric behavior Mr. Williams performed for audiences, both on stage and film, wasn’t really one of his faces, and his way of acting out on the pain within, fooling us into believing it was just an act? Despite it all, I continue to contend that it’s all about choices. My parents made the choices they did because they felt they had finished what they’d come here to do. I believe no less of Mr. Williams. He’d done what he needed to do, learned the lessons he needed to learn, experienced the joy and suffering he chose for this lifetime, then, very quietly and without fanfare, exited, stage right. May he be lovingly remembered, and in doing so, may his family and friends be left to grieve…and cope…in peace. 1. I am grateful for things which, through sadness, make me remember to be compassionate. 2. I am grateful for the experiences I’ve had which (I hope) have made me a better person. 3. I am grateful for my family and friends who understand without an excess of words. 4. I am grateful for those who respect the privacy of people going through a family tragedy. 5. I am grateful that I am not my mother’s child, but a strong, compassionate, happy, self-sufficient woman with every reason to continue living, learning lessons, and experiencing every emotion I can, but from a place many miles from Depression.